International Women’s Day 2019 also offered an opportunity to reflect on the role of balanced society on peace. 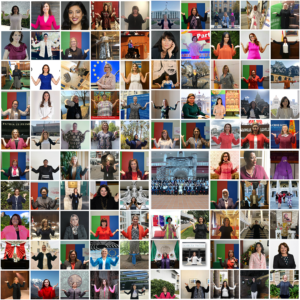 Over 100 politicians from 51 countries shared with WPL their vision for a better world, answering the question What does a world with balance between women and men look like to you? When expressing their views of a balanced world, many women politicians stated how balanced opportunity and equal representativeness in society between women and man can pave the way towards a more peaceful world. Below, a collage of the responses from politicians around the world.